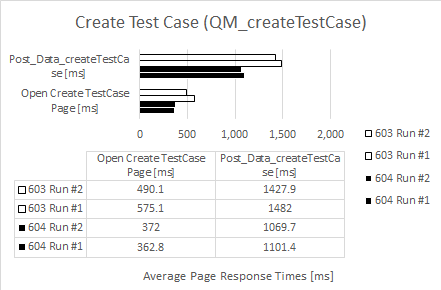 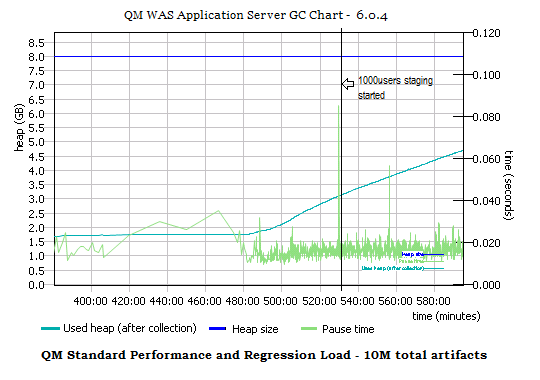 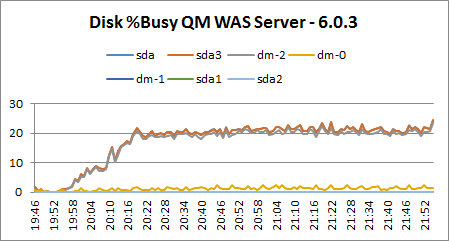 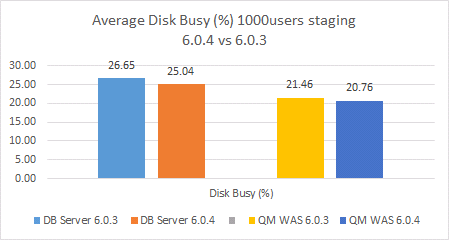 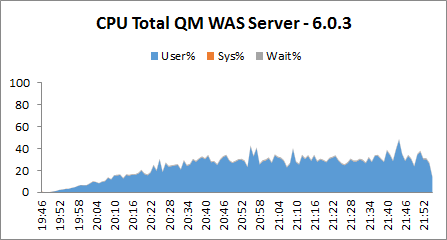 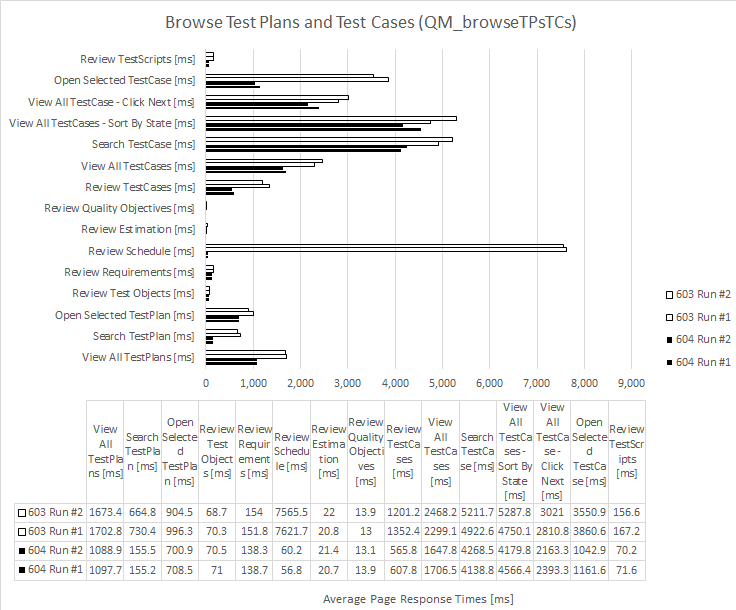 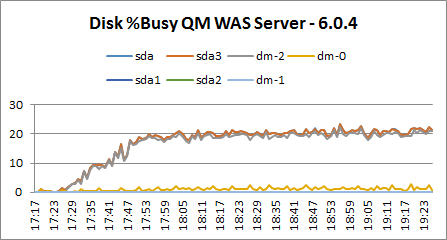 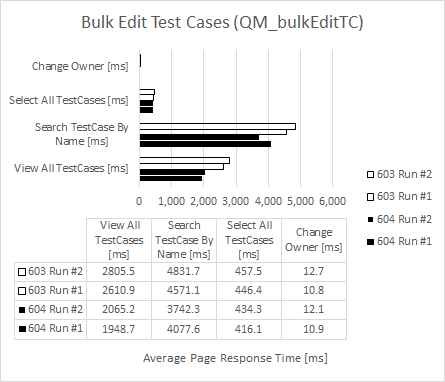 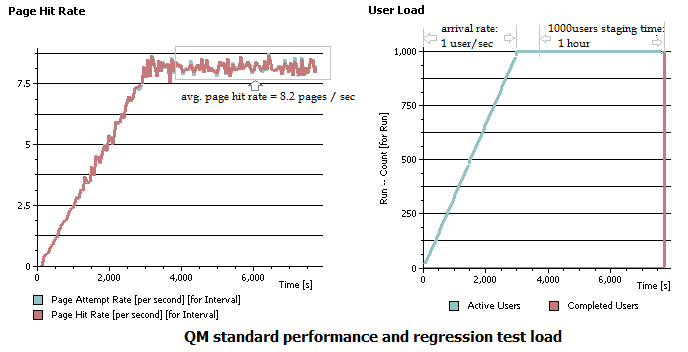 This report compares the performance of Rational Quality Manager (RQM) version 6.0.4 to the previous 6.0.3 release, using a large repository that contains 10 million test artifacts in total. 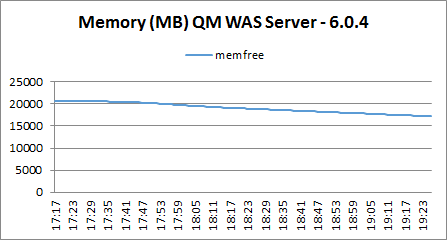 The goal of the test was the verify that the performance of the 6.0.4 operations were the same or better than their 6.0.3 equivalents. 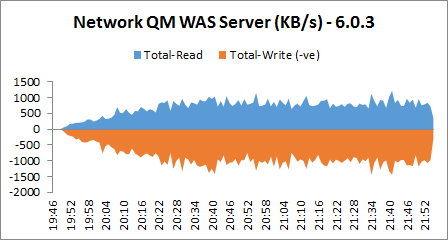 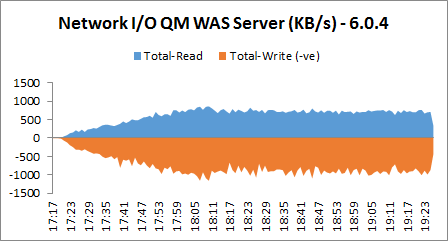 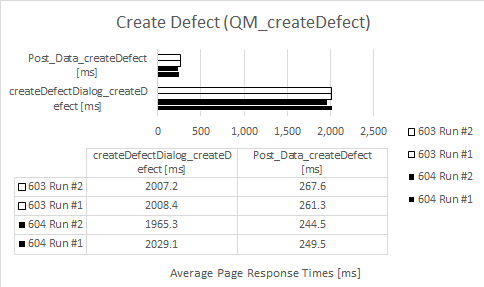 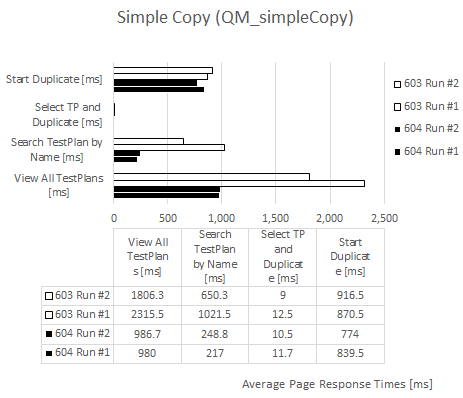 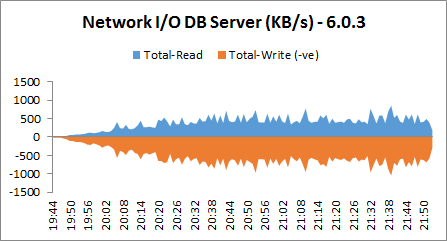 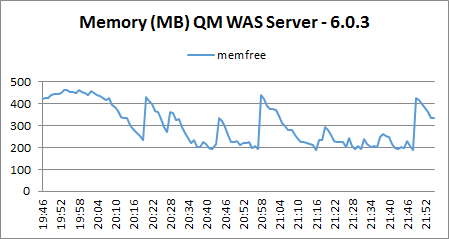 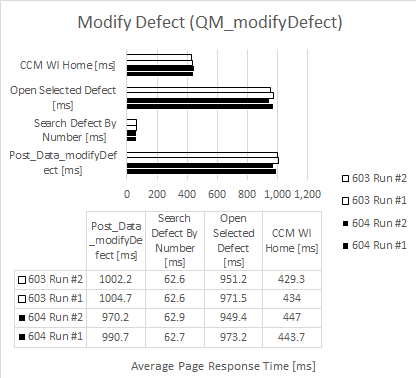 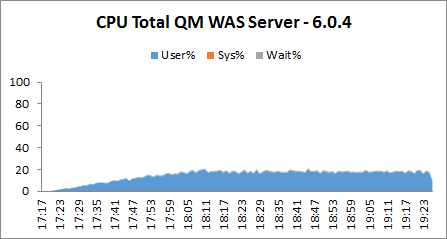 We applied the standard performance load using a large QM repository containing 10 million artifacts against RQM 6.0.3 and 6.0.4 respectively (refer to section Data volume and shape for details). 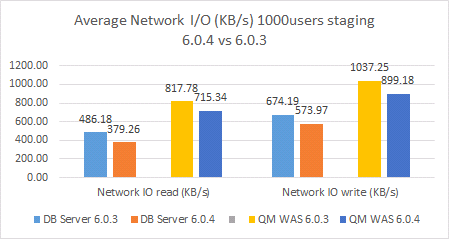 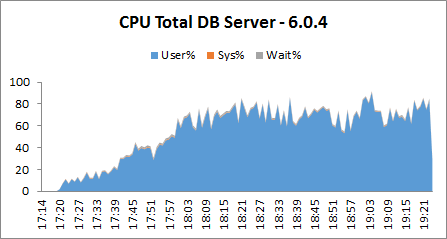 Test results showed the general performance of 6.0.4 is better than the 6.0.3 equivalents. 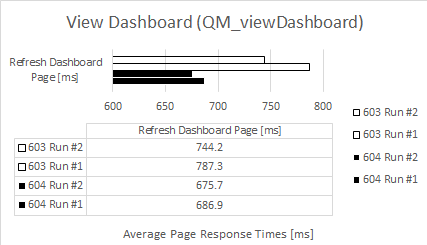 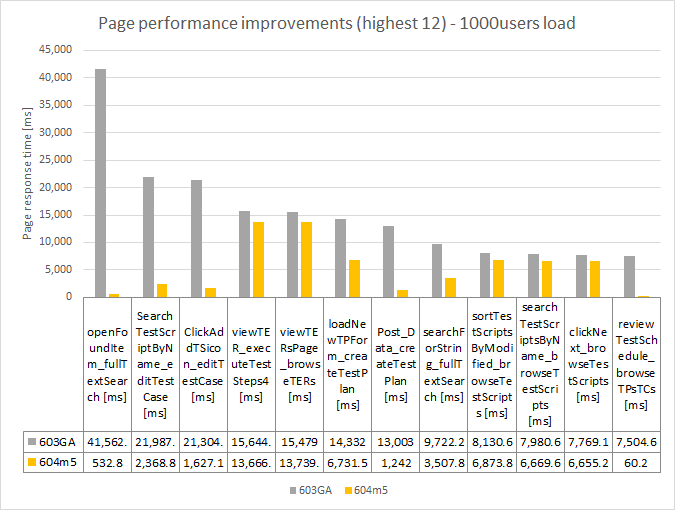 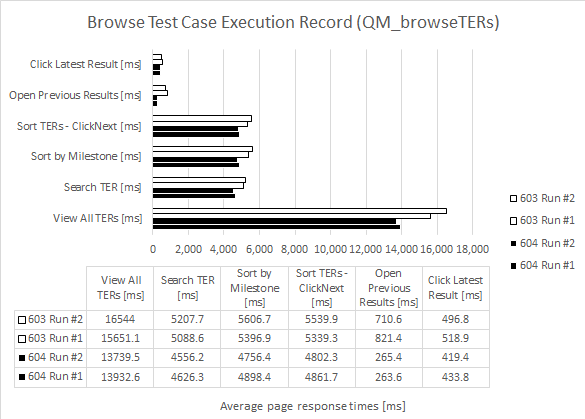 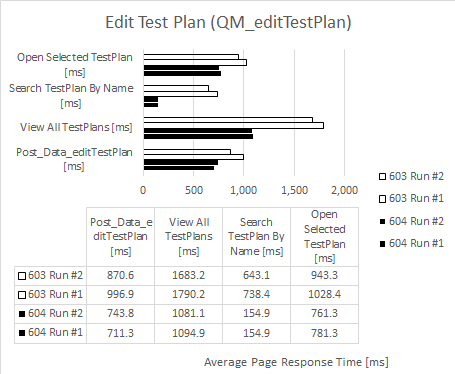 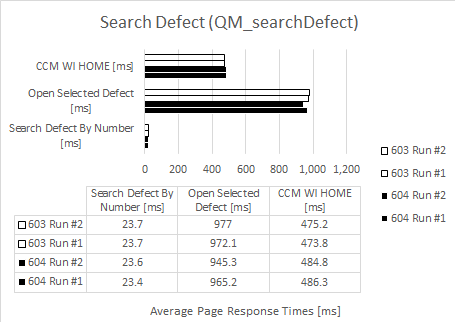 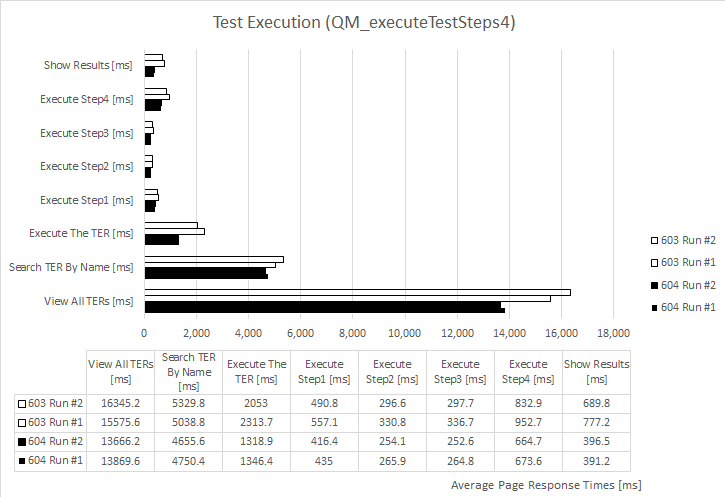 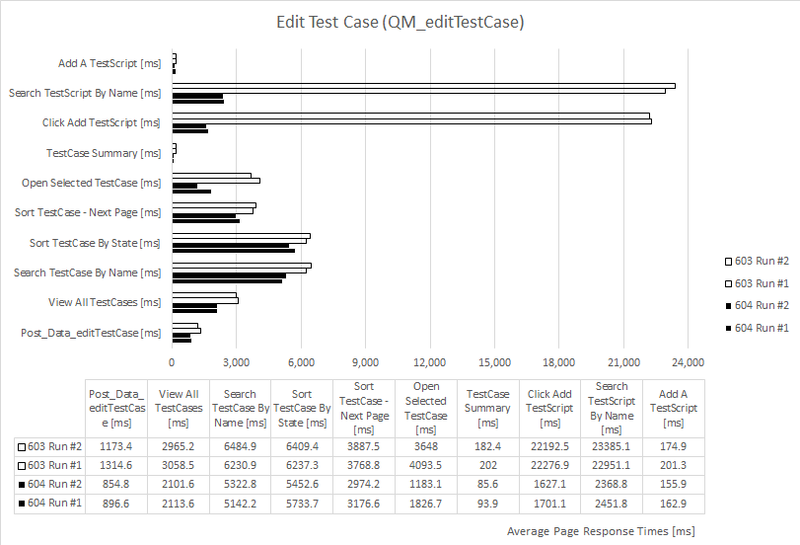 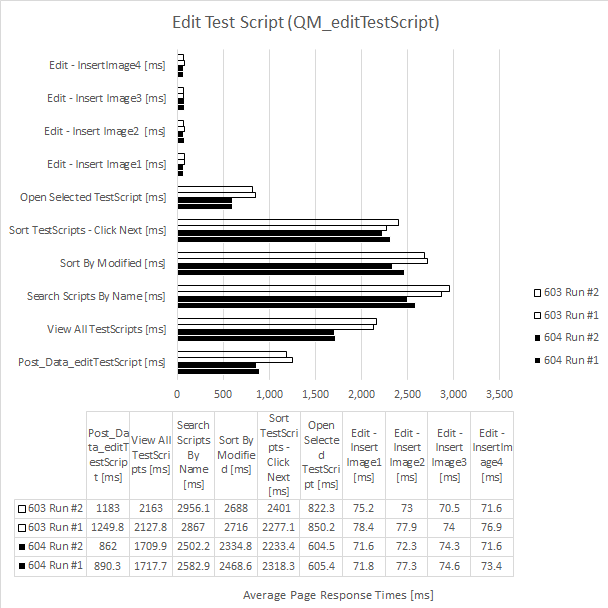 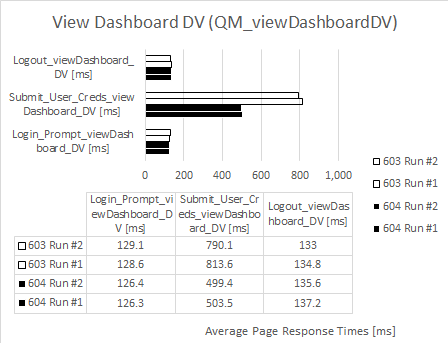 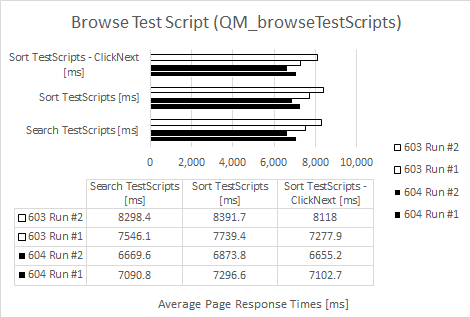 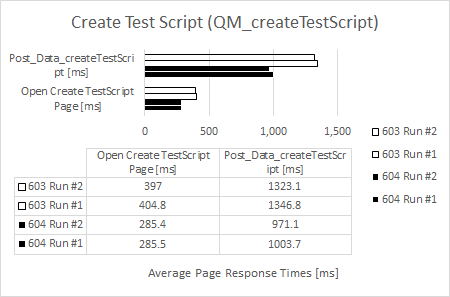 Most of the pages under test were observed to be faster, comparing 6.0.4 to 6.0.3, which resulted in an overall 25% decrease in average page response time by all pages, as seen in the chart below. 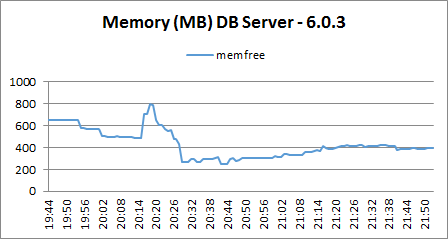 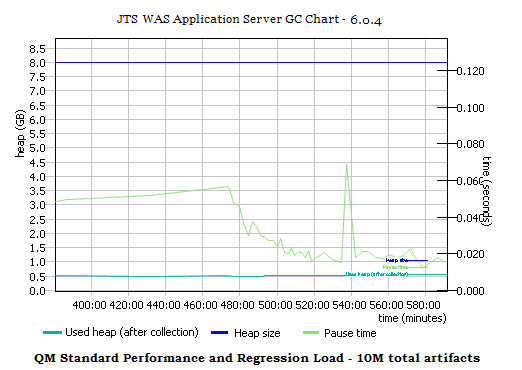 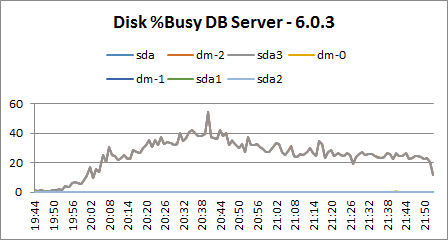 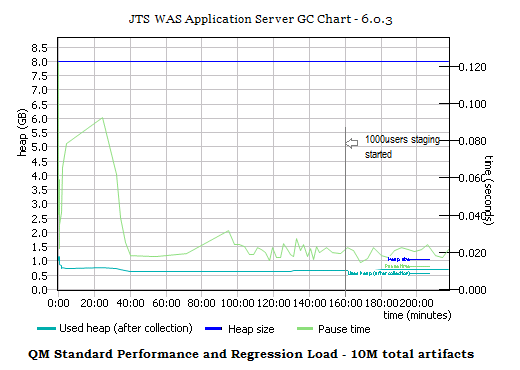 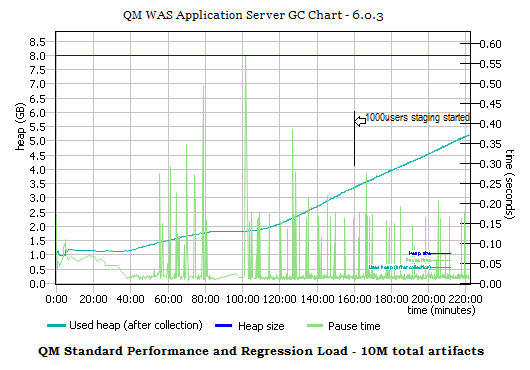 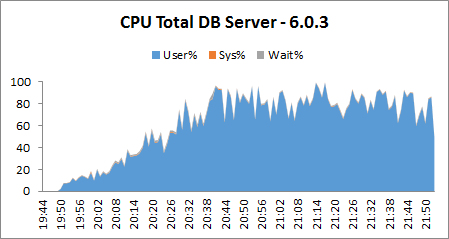 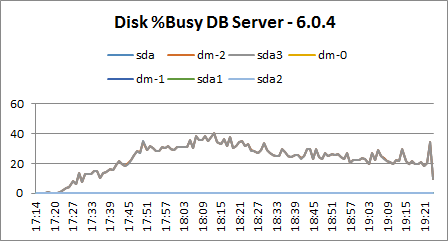 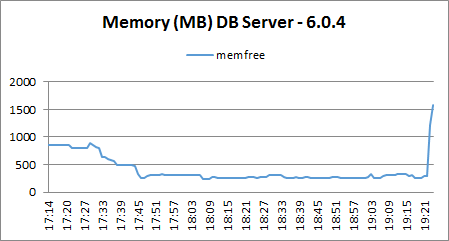 The artifacts were migrated from 6.0.3GA repository which contains a total of 10.7M artifacts in one large project. 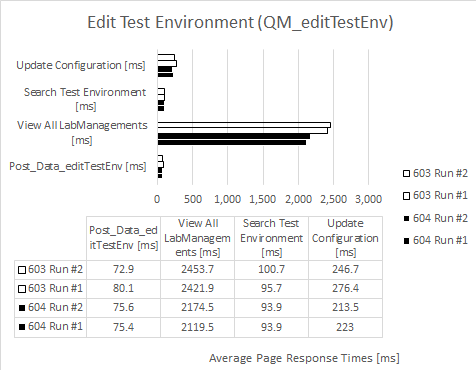 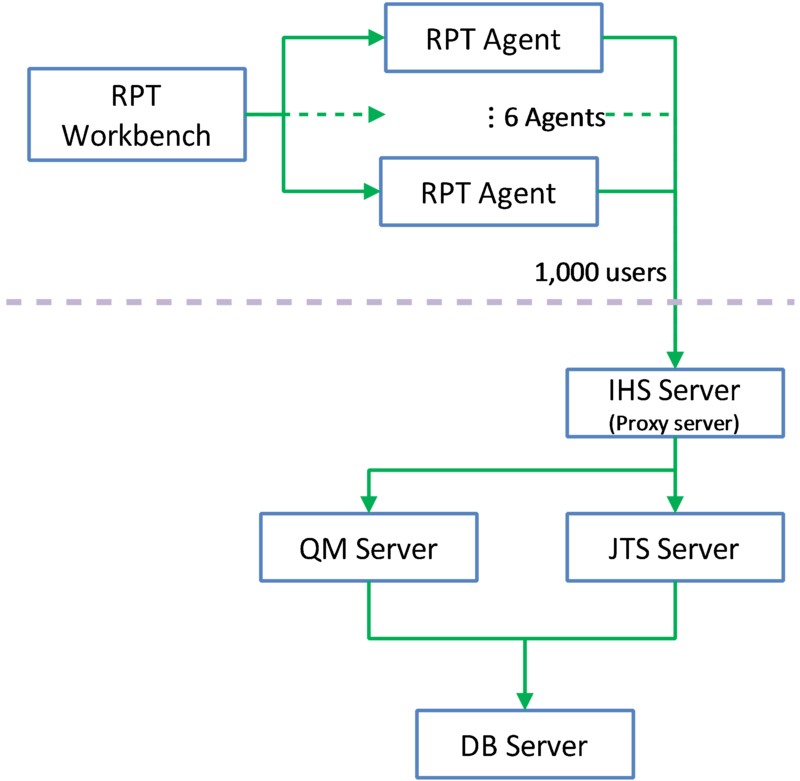 In this test environment, the Configuration Management is not enabled. 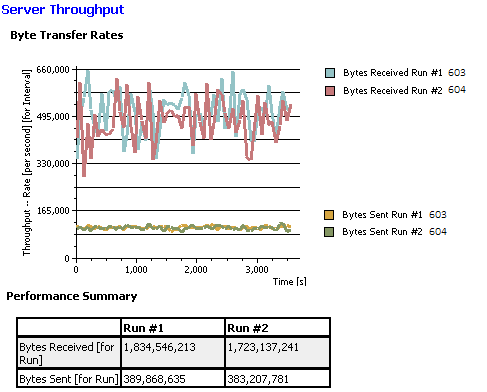 IBM HTTP Server for WebSphere Application Server 8.5.5.9 IBM HTTP Server functions as a reverse proxy server implemented via Web server plug-in for WebSphere Application Server.